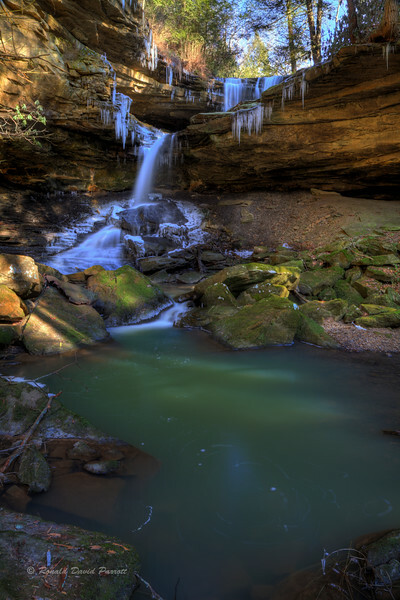 This is McCammon Branch Falls in Jackson County, KY. In a whimsical moment I thought of this place as an amusement park for water drops. I imagined raindrops landing at the top of this waterfall, taking the thrill ride down to the pool below, riding the evaporation express, and repeating the process. I also imagined the icicles as collections of water drops having a rest period while they watched the others play.